It is polite to let age go before beauty, but what do you do when you’re in a room with Daphne Selfe? The 89-year-old, who’s been dubbed “the world’s oldest supermodel,” just shattered ageist stereotypes in the fashion industry by landing a major beauty campaign with cosmetic company Eyeko. Count her among those on a growing list of actors and other professionals proving that you don’t have to be washed up by the age of 40. In a video promoting the brand’s new Bespoke Mascara range, the British fashion icon reflects on her career and, of course, describes her own mascara preferences. Selfe’s career began in the 1950s when she was just 20 years old, she explains in the video. She was then “rediscovered” in her 70s, when Vogue featured her in an article about aging. Pretty awesome, right? Later in the clip, she goes on to admit that her lashes are “quite long” and sparse, but that she likes them to look long and thick. Selfe closes her spot with a jaunty wink at the camera, giving us a peek at the magnetism that keeps brands wanting more. Eyeko chose Selfe for the campaign, along with other younger models, to highlight the mascara’s tailor-made quality. Consumers are empowered to create their own mascara by going to Eyeko’s website and filling out a three-part questionnaire. Then, using an algorithm that took three years to develop, the Daily Mail reports, Eyeko assigns you one of 100 possible combinations. Nina Leykind, the founder of Eyeko cosmetics, tells the Daily Mail that the brand created the Bespoke range in response to a market that is over conforming to society’s norms. “Our fans are discerning and smart and no longer accept the norm, and we want to celebrate the individual,” she says. In an industry that thrives on what’s new and next, ageism seems to be sewn into the very fabric of fashion. Though several campaigns have put older women in the spotlight in recent years — Kate Spade featured 96-year-old Iris Apfel, and Marc Jacobs worked with 68-year-old Jessica Lange, for example — the numbers prove that fashion still has a long way to go. According to a report from The Fashion Spot, which examined 241 shows and 7,035 model castings from the Fall 2017 season, just 21 models over the age of 50 walked the runways of New York, Paris, London and Milan, comprising just 0.29 percent of all castings. Shockingly, that’s a significant increase from the Spring 2016 season, when only five models over age 50 walked. And this lack of representation isn’t going unnoticed. A 2017 report from JD Williams, which surveyed older British women, found that 70 percent of women over the age of 45 feel ignored by the fashion industry, while eight in 10 believe that their age group isn’t represented on fashion catwalks. It may not seem like ageism matters all that much, but it can actually affect peoples’ health. According to the World Health Organization, people with negative attitudes toward aging may live 7.5 fewer years than people with positive attitudes. So high-profile industries like fashion, TV and film should take more responsibility for the expectations they are creating. Period. 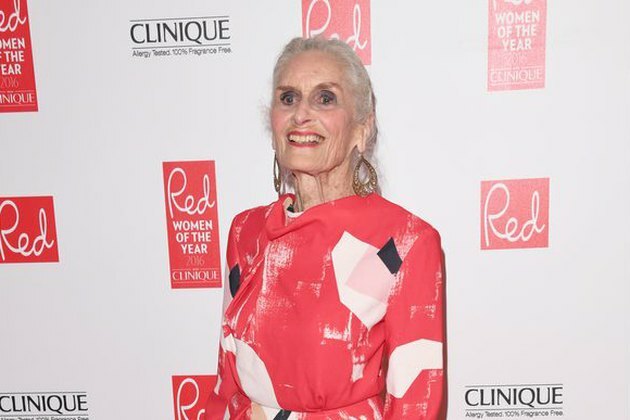 Fortunately, inspiring women like Daphne Selfe, with the help of companies that care, are paving the way for more representation among older women in fashion. And to the brands that aren’t taking initiative: Grow up. How can companies benefit from being more inclusive? How does a lack of representation and diversity in the fashion industry affect people in the real world? Share in the comments section!